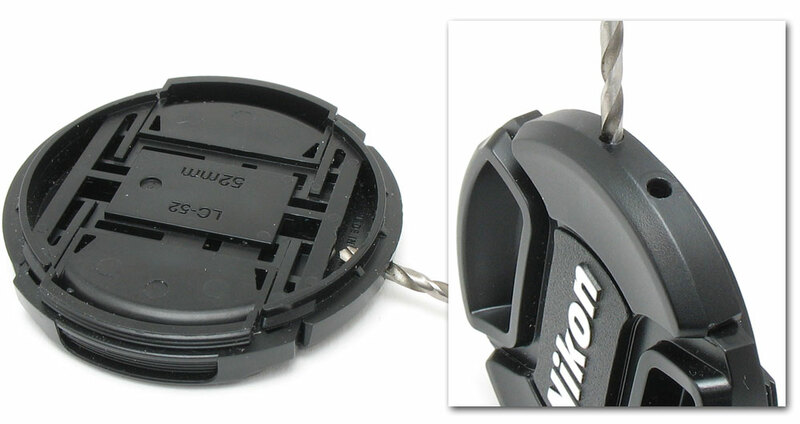 How to make a holder that makes it easy to attach the lens cap to the camera strap. 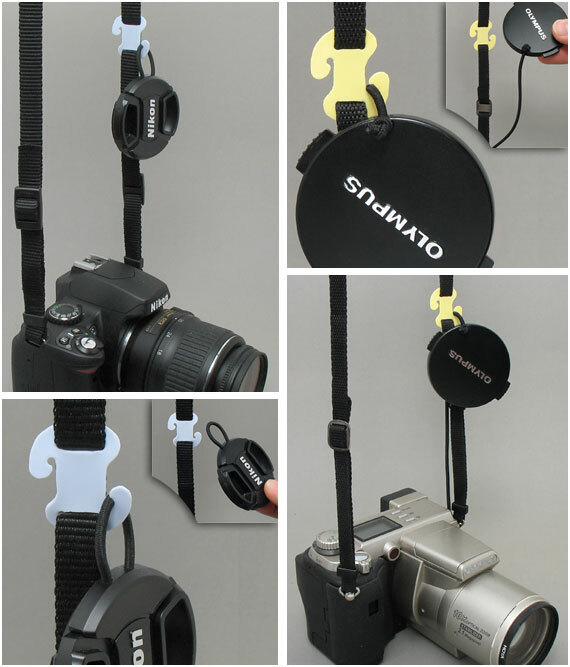 regardless of whether the camera hangs around the neck or is held in hand. *sometimes HD-PE is labeled as "2" with a recycling triangle around it. - tape the template onto the plastic piece. Mark along the cutting lines and make the holes with a drill or a hole puncher. 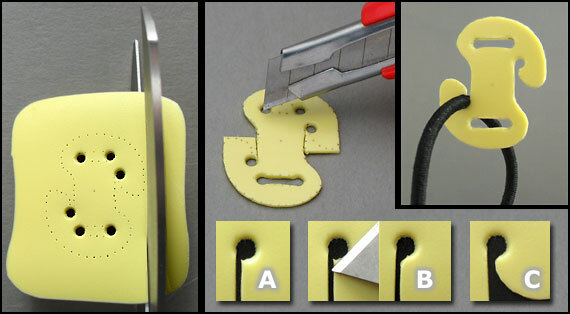 Remove the paper template and cut out the cord lock. 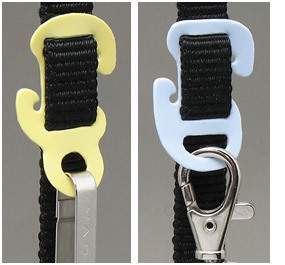 if the cord is difficult to remove make the opening wider in small steps. How to make a small elastic loop on lens caps . 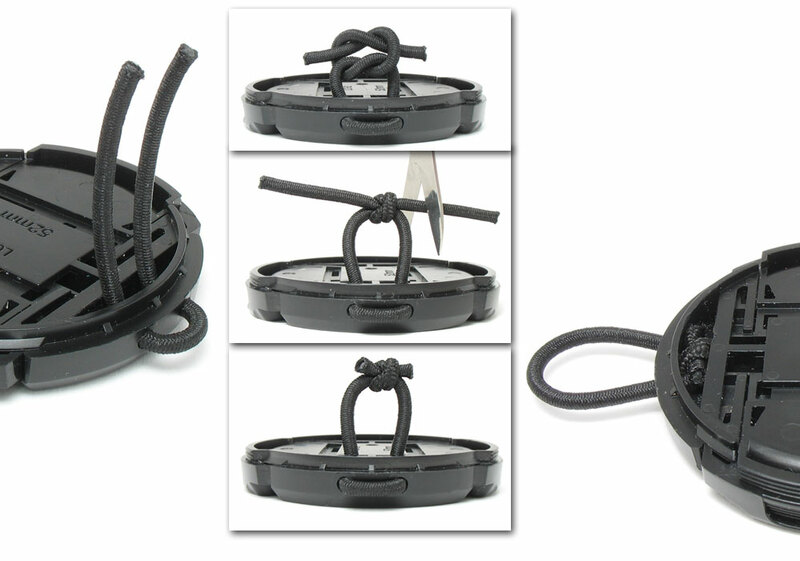 Make two holes with a drill of the same diameter as the elastic cord. 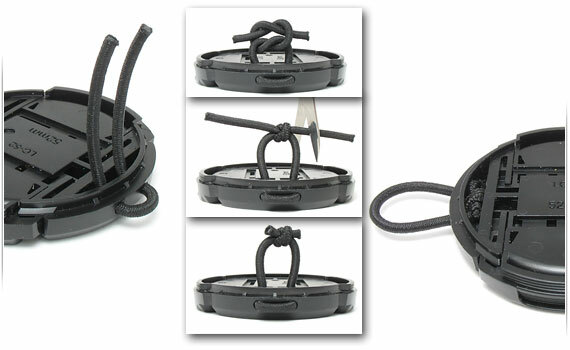 Attach a 10 cm long elastic cord and cut off the ends like shown below. 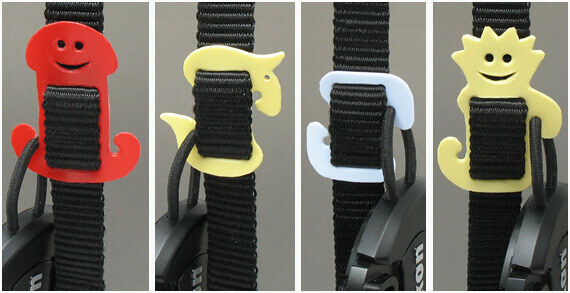 for this you will need a 15-25 cm long elastic cord.